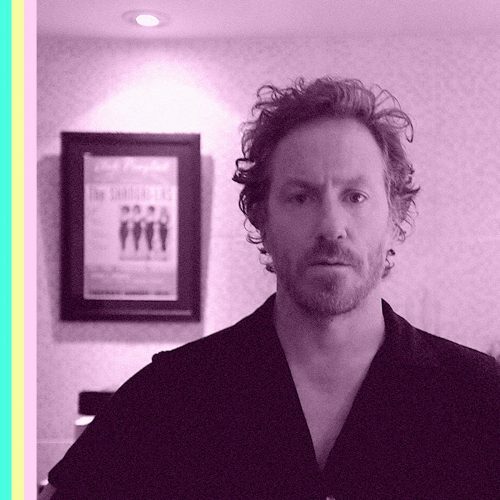 This week’s guest on the podcast is David Holmes – one of Northern Ireland’s most interesting musical minds. He’s the auteur of critically acclaimed solo albums Let’s Get Killed and The Holy Pictures. He’s the curator of seminal tapes Essential Mix and The Free Asssociation. He’s the soundtrack composer for Soderbergh’s Ocean’s trilogy, Hunger, Good Vibrations and ’71. He produces Primal Scream and Noel Gallagher. Oh, and let’s not forgot he’s a decent club DJ – his legendary nights at Belfast’s art college made him one of the key figures in the city’s Acid House scene. Holmes is just about to release a new mix for the Late Night Tales series – God’s Waiting Room – and he invited me to his home studio to talk about the creation of the album. During the conversation we go in-depth on David’s inspiration and process in the making of God’s Waiting Room. He describes some touching moments in the studio with BP Fallon in the album’s homage to Northern Irish guitar legend Henry McCullough. He also explains his collaboration with Jon Hopkins and Stephen Rea on the album’s closer – and extract from Seamus Heaney’s Aeneid Book VI. You’ll hear a taste of some of the mix’s choice picks from Buddy Holly and Jeff Bridges, as well as one of its many exclusive tracks – the Holmes-produced version of 10cc’s I’m Not In Love performed by Song Sung. Along the way we take a wider look at Holmer’s musical journey – how his many siblings shaped his early absorption of music, how he listens to music, and how his crate-digging habits are changing as both he and technology evolve.